If you are thinking to buying new Samsung mid-range smartphones with basic smartphone features then this is perfect for you. You may get this device from online market or local market which costs about 21k-23k depending upon many factors. Primary Camera: 8MP, 3264×2448 pixels, with autofocus LED flash and 1080p@30fps recording. and later on other features are same as of Galaxy Grand. The new Grand 2’s design is actually not new as it looks much similar to previous Sammy devices like Note 3 & Note 2 but it is not bulky like Grand device and also the weight of new Grand 2 is less than Grand device. 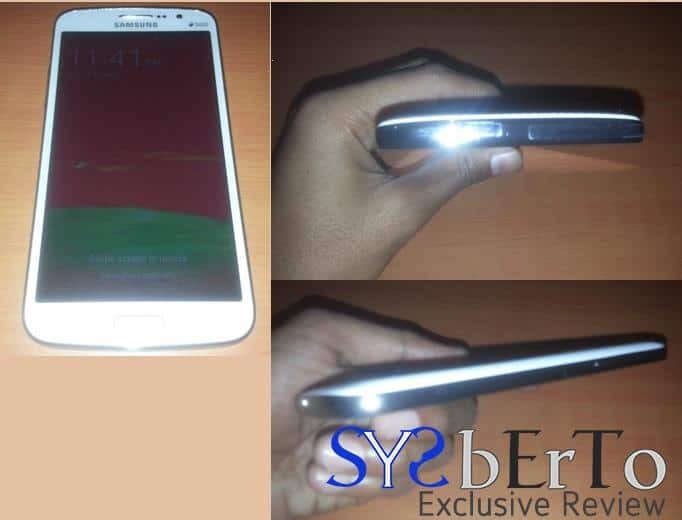 If you see, it got curvy metallic ring which is much similar to Note 2 . The screen is 5.25″ which is glossy in touch and not rough like as we got to see on previous Grand smartphone and bigger is better in terms of entertainment but not in terms of portability. Galaxy Grand 2 running Android OS v4.3 out of the box where it may get updates in future by Samsung. The Touchwiz interface is much buttery smooth because of Android v4.3 where we got to see many new feature additions in Grand 2. If we talk about Camera specs, then camera is same as previous device i.e, 8MP front and 1.9 MP rear supporting video recording 1080p@30 fps which is also available on Grand(I9082) too but main attraction in this new device is that we get new camera interface as like we saw on Galaxy S4 and Galaxy Note 3 devices with many combined modes and shooting settings but still it lacks few modes which are only available on Note 3 and S4 devices. Also there are huge number of Samsung apps like Group play, My Magazine, S-Translator, Story Album, etc are packed within a Special Samsung folder in the menu and in addition to it Google and Galaxy Apps too added in this device. As the device running on Android v4.3, settings panel and all other things are arranged in different tabs. We disappointed at few features such as there are no new additions of features in Smart Screen neither in motions. 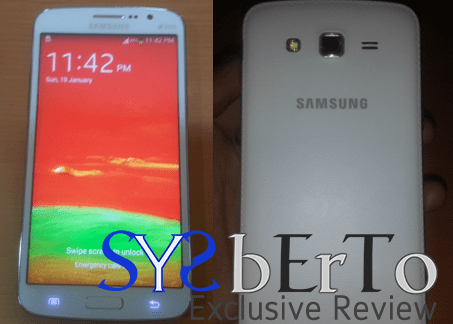 Galaxy Grand 2 running Android v4.3 which runs smooth with 1.5 GB RAM and 8GB internal storage. From 8 GB, system occupied about 2.83GB and finally we get to use about 4.50 GB if memory from internal storage. Samsung Galaxy Grand 2 has almost same connectivity as Grand has i.e, Wi-Fi, Bluetooth v4.0 and micro-USB v2.0, surprisingly this member of grand family also not have USB host feature which is known as USB OTG(On The Go) and finally talking about battery we get Li-Ion 2600 mAh battery which is better than Grand battery which was of 2100 mAh. Galaxy Grand 2, the new family member of Galaxy Grand family is way better than its previous family device i.e I9082 as Galaxy Grand 2(SM-G7102) is running with new set of improved hardware and software platform. Even if the size is bigger than previous device, it does not add any weight in it. If you are thinking to buying new Samsung mid-range smartphones with basic smartphone features then this is perfect for you. You may get this device from online market or local market which costs about 21k-23k depending upon many factors.